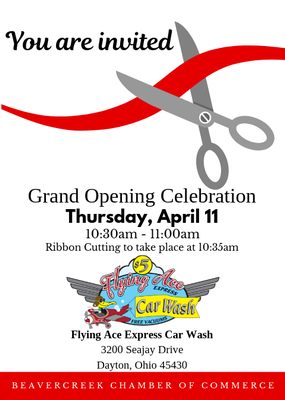 Founded in 2015, Flying Ace Express Car Wash is Dayton Ohio's award-winning, premier express car wash with 5 locations and rapidly expanding. Flying Ace's fast, high quality and environmentally friendly car washes are 100% satisfaction guaranteed, and available in three options: Pilot ($5), Barnstormer ($10) and the signature Flying Ace ($15). The Monthly Unlimited Wash Club, starting at just 14.95 a month per vehicle, offers unlimited car washes.